Tila Von Twirl is a Chicago area dancer, choreographer, and teacher. Tila has over 10 years of burlesque specific experience, and over 25 years of professional dance and choreography experience. She also specializes in chair balancing, and has years of experience creating ambient environments and go-go performance. Tila teaches classes of various styles including yoga and bachelorette experiences. She is also available for choreographic commission. 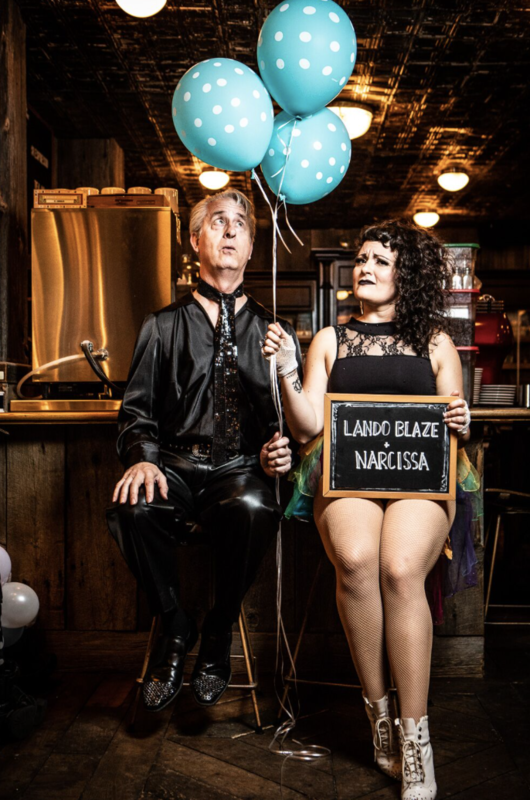 Tila also works with Fringe Factor Dance, a burlesque group, and Lando Blaze and Narcissa, a comedic variety duo. To view specific acts and looks you can visit Vimeo, Facebook, and Instagram. Each booking will be based and created on client needs. You can expect timely correspondence, professionalism, and a quality product at your event.